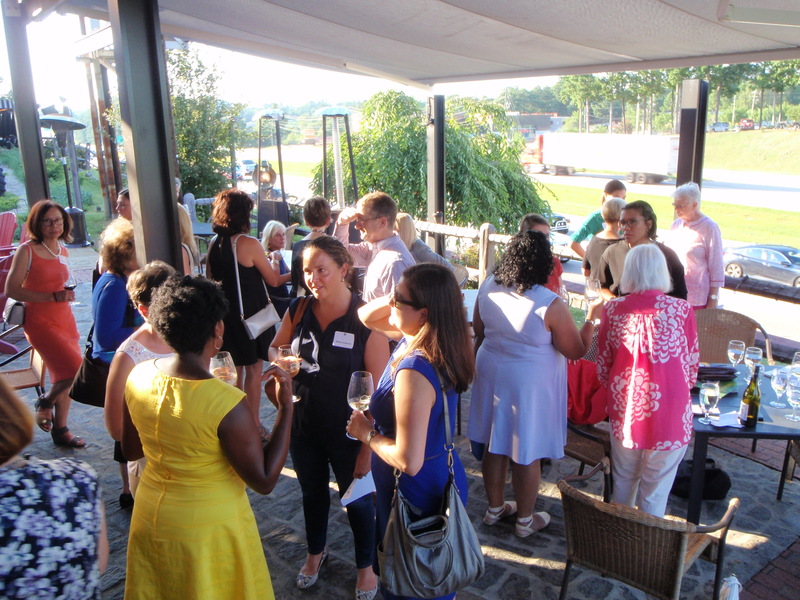 The Women's Giving Network of Wake County recently hosted a pop up social at the Angus Barn in Raleigh. 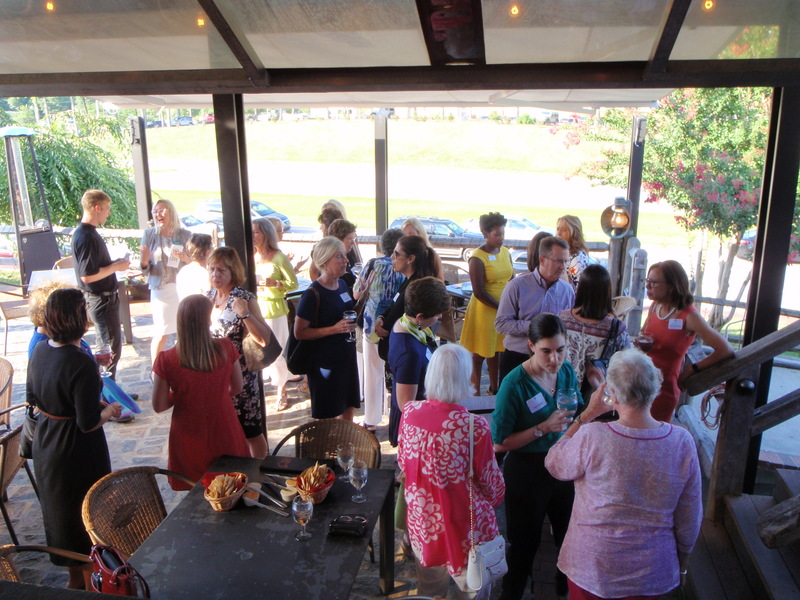 At the social were Women's Giving Network 2016 and 2017 grantees, who spoke about the work they were doing to improve the lives of women and children in Wake County. Pictured above are WGN Corresponding Secretary Jenny Eury, NCCF Regional Director Quinn Novels and WGN President Laurie Hughes. Friends of the North Carolina Museum of Natural Sciences was represented at the social by Erin Apple, coordinator of youth programs. Friends of the NC Museum of Natural Sciences was awarded a grant in 2017 to fund their Girls in Science: Future Focus program. 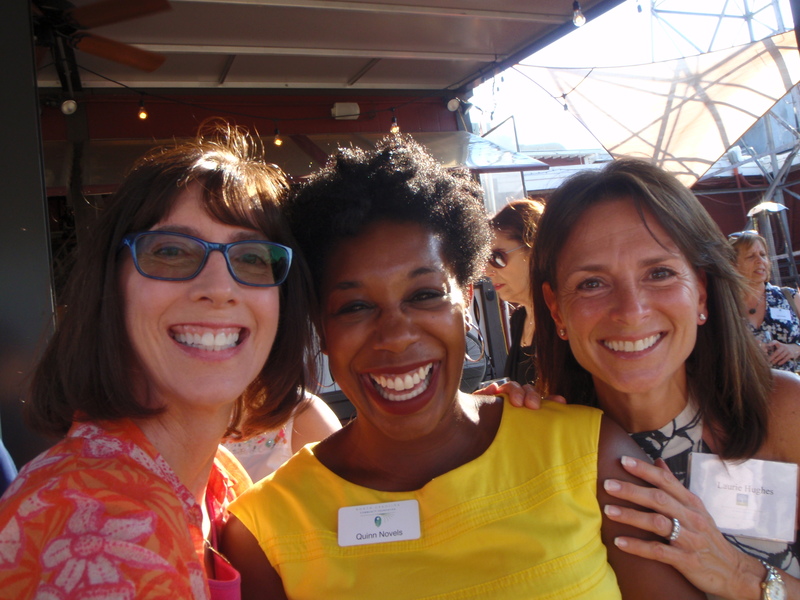 Executive Director and Managing Attorney Libby Coles and Board Member Patti Beckett represented JusticeMatters Inc., which received a grant in 2017 that expanded access to legal services to protect Wake County women and children. The Raleigh-Wake Partnership to End and Prevent Homelessness received a grant in 2017 for women's services and were represented at the social by Executive Director Abbie Szymanski and Coodinated Entry System Manager Venessa Kopp. A Lotta Love, an organization devoted to providing temporary housing for women and families, was represented by Board Member Darliene Woolner. A Lotta Love received a grant in 2016 to rennovate the Wrenn House, a shelter for children between the ages of 10 and 17. Executive Director Scott Troutman represented The Frankie Lemmon School & Development Center, which received a grant in 2016 to build a playground for special needs children. "It's always great to hear about the continued work these organizations are doing for women and children in Wake County," said NCCF Regional Director Quinn Novels. "Despite the 97 degree heat, a fun time was had by all!"